There is a general rule in marketing that ‘customer is always right’ and to make the customers happy and flourish their business, the company always go along with the customers’ wish and advise. In this era of digital marketing where people have set up their businesses on Facebook and WhatsApp, the reviews about a product of a company matter a lot. If it is good, you’ll have more business and if any of the customers post a negative review of a single product, it will definitely harm your business. 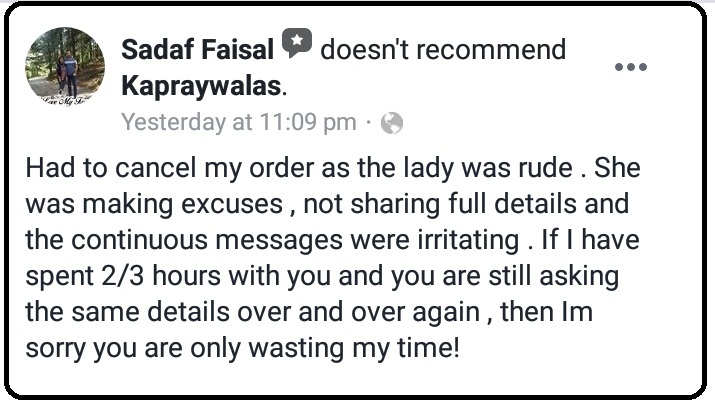 A few days ago, a social media user reviewed the Facebook page’ Kapraywala’ and shared her bad experience in the review. But instead of handling the issue carefully, the admin of the page called the user at midnight and talked with her in abusive language. 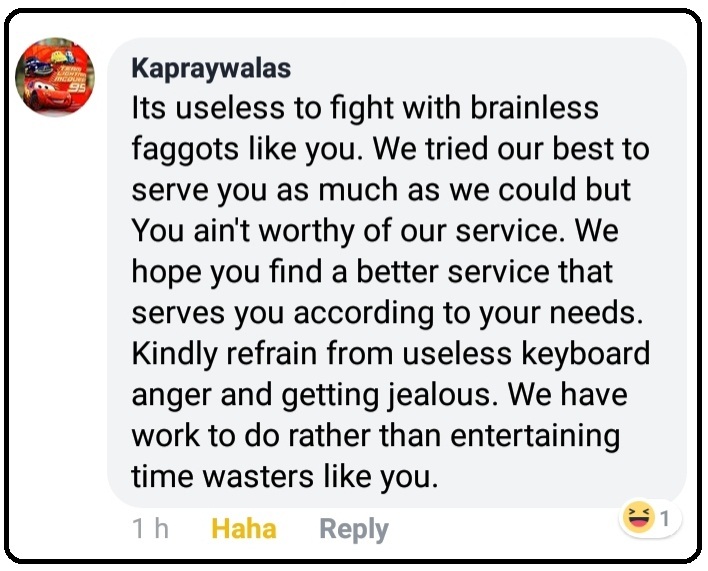 I reviewed a Facebook business page Kapraywala for bad customer handling. At the most, I expected a customary “we will look into it response” sort of message. However, things took a shocking turn when I received a phone call at midnight from the female owner of the business to pick up a fight about the matter. I put down the phone, refusing to talk to an obviously irate and extremely rude woman. The lady continued her abusive behavior on Facebook. She also looped in a friend or a fake account giving me direct threats to take my review down or be ready for the consequences. I refused to budge and have since reported the matter to the FIA cyber crime cell. Such unethical practices need to be checked and involved individuals need to be highlighted on the social media to rid the business space of unethical and unprofessional individuals. 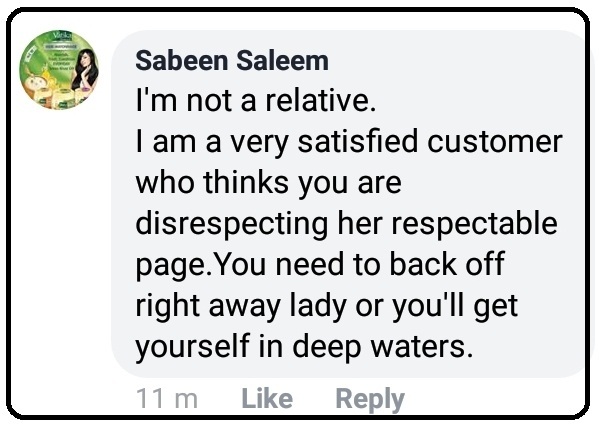 P.S: The lady has turned off the reviews section on her page but I had saved the link already. You may access the entire thread from this link or the screenshots I have shared indicate the lack of skills, education and fair customer dealings/respect whatsoever. Read The Whole Conversation Here!